The Ontario government is refusing to make Premier Doug Ford's mandate letters to cabinet ministers public in a move it says mirrors "every Ontario government prior to Kathleen Wynne's Liberals," — but CBC Toronto has learned that some of those provincial governments were likely never asked to share the now "private" letters. The Ontario government is refusing to make Premier Doug Ford's mandate letters to cabinet ministers public in a move it says mirrors "every Ontario government prior to Kathleen Wynne's Liberals" — but CBC Toronto has learned from staffers in some of those previous governments that the letters weren't necessarily "private" at all. A senior advisor to former premier Dalton McGuinty says that Liberal government was the first to make mandate letters publicly available and the Wynne goverment continued the practice. "At first, we gave them to reporters. Over time, we also released them to the public," said Lloyd Rang, who was also a communications director for McGuinty. "Folks in hospitals, universities and businesses grew to expect and rely on them because the letters made our government's actions fully transparent and easier to understand." Before then there might not have been much interest in mandate letters. According to a former Tory cabinet minister, no one from the media requested copies of mandate letters during her time at Queen's Park. "It wasn't the big deal it's become," said Janet Ecker, who served as a Progressive Conservative cabinet minister in former premier Mike Harris' government. Mandate letters she received were "fairly intensive binders," she added. The letters traditionally layout a checklist of expectations a premier has for each of their cabinet ministers. Ecker believes mandate letters matter more now because Ford was only party leader for a couple of months before the election and there "just wasn't the opportunity to put out the details" of what a Ford government planned to do. 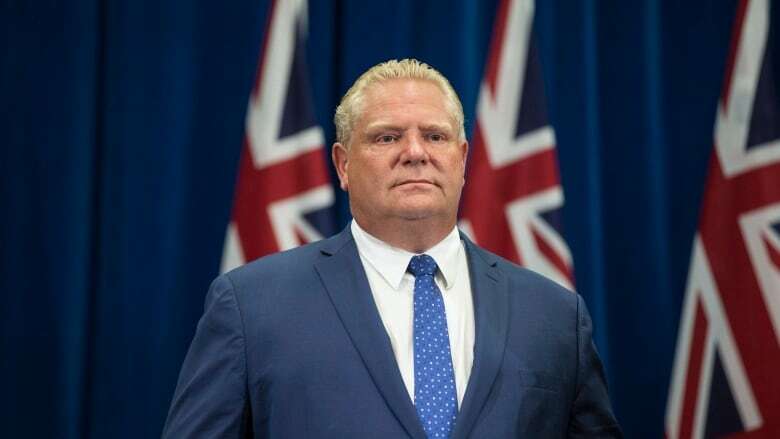 The province's Cabinet Office recently denied CBC Toronto's freedom of information request for all of the mandate letters sent to Ontario's 22 ministries and two non-portfolio responsibilities. In its denial, the office claimed the records are exempt from access legislation because their "disclosure would reveal the substance of deliberations of the executive council or its committees." Wynne's Liberal government posted their mandate letters publicly on the province's website, a practice that became the norm across most of the country since Prime Minister Justin Trudeau made his own letters public in 2015. Those precedents don't really matter though, according to political science professor Nelson Wiseman, who said he doesn't think "this means Ontario's less democratic." "The average person has no idea what a mandate letter is and I don't think they care," Wiseman told CBC Toronto. "Their attitude is, 'We had an election, Ford got elected. Let him step in it, let him do something good. We'll weigh-in on it in four years.'" Wiseman, who specializes in Canadian government and politics at the University of Toronto, said mandate letters are a "very recent development" he traces back to former prime minister Brian Mulroney. The records evolved out of a growing distance between premiers, or prime ministers, and their cabinet ministers, according to Wiseman. In the case of the current government, Wiseman said the fact Ford was elected on a "paper-thin platform" means his government might feel like it doesn't need to publicly provide more information on its mandate. "I think for the most part people think. 'Look, the election's over. The guy got elected. If he wants to release a mandate letter, that's up to him.'" CBC Toronto requested an interview with Ford about his government's decision to not to release his mandate letters, but instead received an emailed statement from his spokesperson, Simon Jefferies. The statement focuses on Ford's campaign promises. "We campaigned on a plan for the people, and every cabinet minister was given a clear direction to implement this plan and deliver real relief to families," said Jefferies. "Our government has 5 core commitments: we will put more money in people's pockets, clean up the hydro mess, create and protect jobs, restore accountability and trust in government, and work to fix health care." The statement later goes on to say that "every Ontario Government prior to Kathleen Wynne's Liberals kept mandate letters private." One Ottawa-based citizen's advocate says the public should demand more. Ken Rubin has made thousands of access to information requests in over 50 years working as an investigative researcher. He believes the province should be proactively disclosing records like mandate letters. "The election was held and you would quite rightly expect after that public discourse that you would have the basic information about the mandate," Rubin said. Denying access to the letters is a "step in the totally wrong direction" and will "signal a shift to secrecy in the government more generally," he continued. While Rubin "wouldn't put too much faith" in the mandate letters themselves, he said they're one way to keep the government accountable. "You need to have some benchmarks if you're going to have evidence-based democracy. So, that's one of them, and one less if you don't have it available to the people." Before filing an access request, CBC Toronto reached out to about half of Ontario's ministries, asking for a copy of the mandate letter they'd received from the premier's office. None of the ministries addressed the request for the mandate letter in their response, but instead provided nearly identical statements. All of them cited Ford's "five core commitments" from his campaign for premier. An earlier version of this story stated that Janet Ecker was a press secretary in the government of former premier Mike Harris. In fact, Ecker was a cabinet minister under Harris. She had served previously as a press secretary during the Bill Davis years at Queen's Park.